This tutorial has a total of 8 steps. Follow steps 3-8 in the following tutorials to add Observation Checklist/ Coach / Self Assessment / Group Training. The notification step will then be added to the pathway. You can add other steps to the pathway if you like. Step 7: Assign the pathway using any of the options in Step 8. Once the user finishes the tasks in the steps above the notification step, the people will be notified. Step 8: There are 3 options you can use to assign the pathway to a user. You can use any combinations of these. Option 1 - Assign the pathway to users directly. See Assign Pathway to Users. Option 2 - Share pathway to the user's group library. 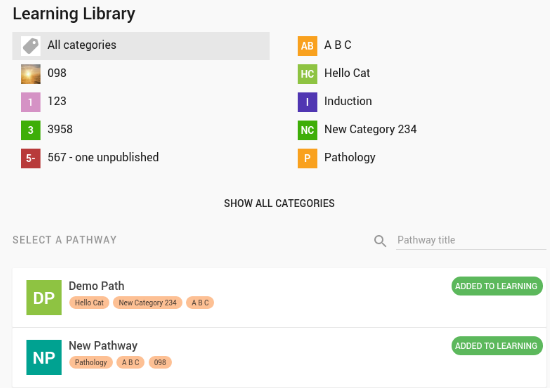 See Share Training Path to Group Library. Once shared to the user's library, they can assign the pathway to themselves whenever they like. Option 3 - Add the pathway as an automatic assignment when new members are added to the group. 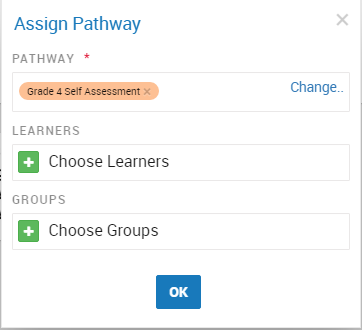 See Automatic pathway assignment for new group members.